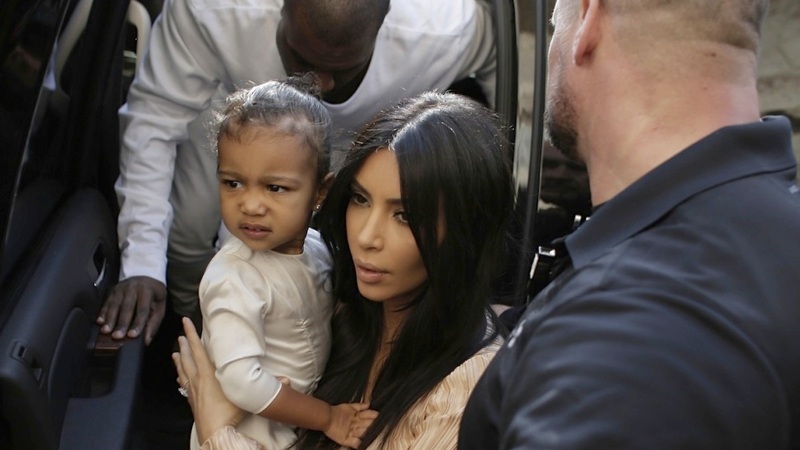 Kim Kardashian carries her daughter North West as she and her husband rapper Kanye West exit a car upon their arrival at the Armenian St. James Cathedral in Jerusalem's Old City on April 13, 2015. Kim Kardashian and husband Kanye West visited a centuries-old Armenian church in Jerusalem on Monday for the baptism of their daughter, North West. "Stop," Kim Kardashian shouted to the crowd. "Stop! It's not safe for the baby," her sister added. Archbishop Aris Shirvanian, an Armenian church official, said the family had arrived for a baptism ceremony. "Kim Kardashian's daughter will be baptized and become a Christian officially and a member of the Armenian church," Shirvanian said, slightly perplexed by all the commotion. "All I know is that she's a famous personality. I don't know her in person. In any case she is welcome with her family." 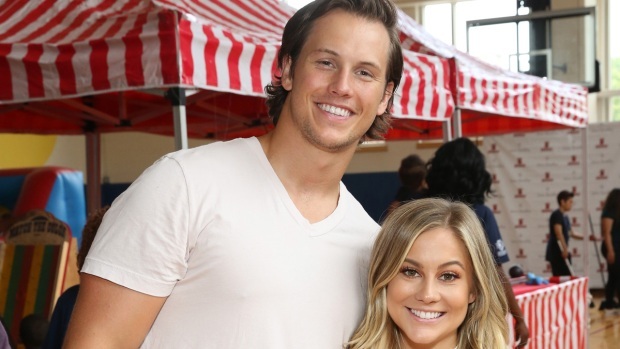 There were no details on the ceremony, and the family left the church without speaking to reporters. The members of reality TV's first family arrived in a private jet at Israel's international airport on Monday for what was described as a private two-day visit. All were captured on camera disembarking their plane and the images featured prominently on Israeli websites. They were quickly whisked away in a dark black SUV to a hotel in Jerusalem. Paparazzi did their best to keep up with their movements. The celebrities arrived from a high-profile visit to Armenia, where the Kardashian family traces its roots. They are expected to shoot some footage for their reality show in Jerusalem before moving on to Jordan. 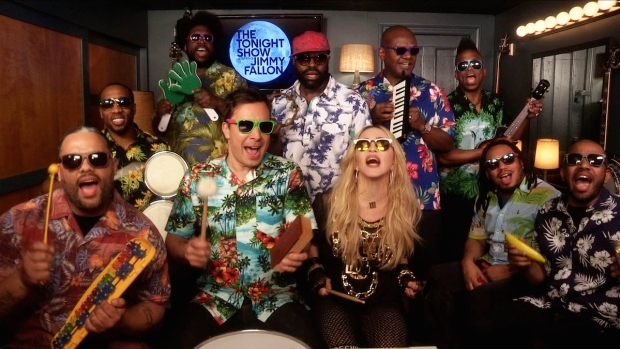 Madonna stops by the "Tonight Show" Music Room to perform her classic song "Holiday" with Jimmy Fallon and The Roots.